Logo Fast response or by appointment. We can make your home warm, cosy and toasty again today! Problems with your heating system? Our fully qualified engineers are the people to call for all sorts of heating problems. Leaking boilers, faulty cylinders, boilers not firing up, cold radiators and boilers losing pressure. All our engineers are Gas Safe accredited (formerly CORGI), so you can be sure of a safe, thorough and professional job. Our expert engineers can work on and repair all sorts of electric boiler systems, including unvented hot water storage systems, under-sink and over-sink electric water heaters, PulsaCoils and thermal store cylinders. We can also install new electric boilers. Call us now! Is your home freezing cold because of a faulty boiler? Our expert Gas Safe engineers specialise in repairing and installing a range of gas appliances, including boilers, gas fires, gas hobs and gas ovens. We can also issue gas safety certificates and landlord gas certificates (also known as a CP12). Call us now and let us get your home’s heating back on today! Don’t leave your home and family in the cold. Our expert Gas Safe central heating engineers specialise in repairing and installing a range of heating appliances in the home, including gas boilers, cylinders, immersion heaters, radiators and gas and electric fires. Call us now and let us make your home warm, cosy and toasty again today! Are your gas appliances operating safely? Why not make sure they are operating correctly with a comprehensive safety check? Call us now and book your inspection today! Don’t let your radiators leave you out in the cold! Our friendly and professional plumbers can repair all manner of radiator problems, from a leaking valve to heat not spreading evenly. 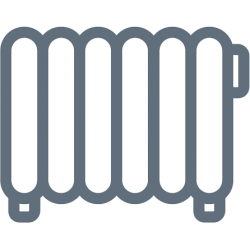 We can also supply and fit new radiators or relocate your existing ones, keeping you and your home warm and cosy throughout the year.